OFFERING WEB DEVELOPMENT SERVICES IN ARIZONA SINCE 1997! If you are searching for “web design”, “website design”, “custom website design”, “web designers”, or “web design near me”, in Scottsdale, we can help! 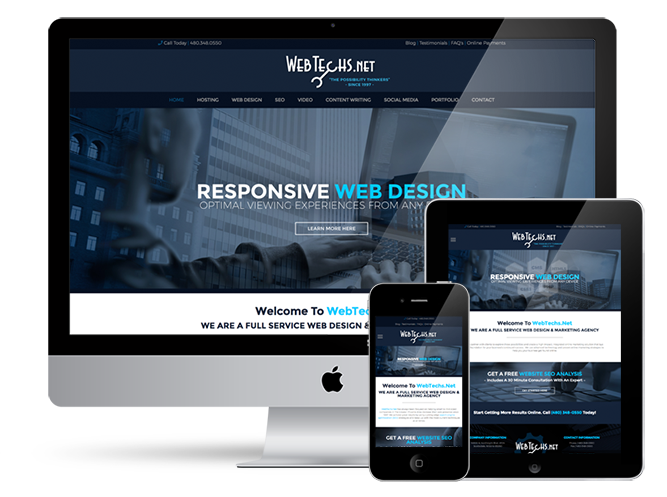 WebTechs.Net is one of the best website design companies in Scottsdale! Our web development agency knows what it takes to make your website shine! Get a free SEO consultation by calling or using our contact form. Custom website design is our specialty! We’ve built 1000’s of custom websites for Scottsdale business owners. We have experience with building websites with all types of web builders, but our specialty is in WordPress website design. WordPress has more features, plugin capabilities, and design options that almost any other CMS out there. Our web re-design services help customers who do not like their current website or have an outdated website that needs to be updated. We can give you a brand-new design or simply update your current one. Have a personal website you would like us to build for you? We can do that too! Personal websites are very similar to business websites in the way they are built. Have a lot of products and don’t know what it will cost to get them all built into your site? We can help with adding products to your website or build a website with your products already on it. Over 25% of searches on Google are coming from mobile devices. It is extremely important for you to have a mobile friendly version of your website. Smartphones are outselling pc’s 3 to 1 these days, so the odds are high that a customer’s introduction to your website will be through their mobile device. Our custom-designed mobile websites deliver visually stunning information about your business and serve as the mobile equivalent to your main website. Your customers can get faster access to your business from anywhere via a mobile website and will most definitely do so. Take advantage of the ever expanding, constant access your potential customers have to the internet and increase the potential for your business to grow! Come sit down and meet our web designers. We will ask you many questions and show you different examples of sites we’ve built in the past to get an idea of the custom website you want to build. We build out the home page and 1 secondary of your page to make sure the design is exactly what you expected. We offer you to make any changes at that time. This is where we begin building out the rest of the website. Your new website will be fully mobile responsive and fast to meet Google’s new website speed requirements. After the build is complete, we let you look at the site one more time before sending it live. This is your chance to make any last minute changes. We offer super fast in-house hosting that can make your website perform even better. We can host your website on our servers or put your new site on your existing hosting account with GoDaddy, HostGator, etc. Read reviews about our website design company from our real customers in Scottsdale. We have used Web Techs for a few years now and have been very pleased not only with the performance of our website but also with the partnership we now have with them. Customer service is outstanding and the ability to collaborate on different aspects of the site is great. We would highly recommend Web Techs to anyone looking to jump-start their online presence! Desert Foothills Gardens Nursery has been a loyal customer of Web Techs since 2004. Darren has been our Rep for as long, and always keeps our site at top performance. The rest of the crew is also invaluable for optimum website design and SEO. We have recommended Web Techs to many over the past 10 years. Thanks to all of you! I started doing business with WebTechs 7 years ago when they built my website. The website is phenomenal and the customer service has been second to none. When I have questions, the are easy to contact and always have answers right away. I started doing SEO with them over two years ago and I’m so happy with the results! I am getting a lot of leads from Google now. I didn’t understand SEO very well and they took their time to explain it to me in layman’s terms. 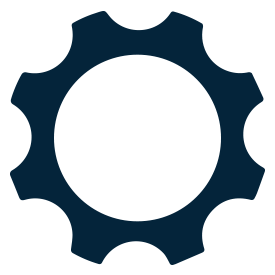 I highly recommend WebTechs for website building and SEO. WebTechs designed Impact Auto Body’s website several years ago & we love the changes that they made. Our SEO ranking has greatly improved since using them also. I would highly recommend them for any type of business! Our company has been using WebTechs since 2010. They do such a GREAT job!! I will never use anyone else. They handled building our website & site design as well as hosting. Whenever I need to get a new picture up or make any changes, it is done right away. They built our listing on Google and got us ranking #1. Their SEO optimization is great. We are very happy with the results. Everyone over there at WebTechs are great to work with. I get to work with Erick Carlson and couldn’t be happier!! I highly recommend WebTechs!! On average, website design in Scottsdale costs about $4,000. Web design costs ranged from $1,500 to $10,000+ for Scottsdale, Arizona in 2019.